Aaron is a member of the Social Science Education team in the School of Education. 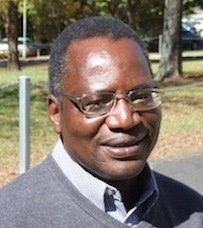 Aaron started his teaching career in 1979 after training as a high school teacher in Zimbabwe. In 1994 he was appointed lecturer at the United College of Education (UCE), a teacher training college in the same country. He moved to the Midlands State University (MSU) in Zimbabwe in 1998 joining the Faculty of Education as lecturer. In 1999 he was appointed lecturer at the University of Zimbabwe (UZ) until 2005 when he received a PhD studentship from the University of Aberdeen (UK) and, in the same year, embarked on studies at that university. During his studies he was involved in part-time teaching at the same institution and graduated with a PhD in 2009. He took up a two-year full-time Teaching Fellowship contract at the University of Aberdeen. In 2012 he joined the University of New England (UNE) NSW, Australia. Sigauke, A. T. (2013). Citizenship Education in the Social Science Subjects: An Analysis of the Teacher Education Curriculum for secondary schools. Australian Journal of Teacher Education, 38(11). Sigauke, A. T. (2004) Examination mal-practices in schools: A case of five secondary schools in the Harare Region of Education – Zimbabwe. The Zimbabwe Bulletin of Teacher Education. Department of Teacher Education, University of Zimbabwe. Vol. 13 Issue 1. July 2004, p52-72. Sigauke, A.T. (2018). Citizenship and Citizenship Education in Zimbabwe: A Theoretical and Historical Analysis. In Peterson, A., Stahl, G. and Soong, H. (eds.) (2018) The Palgrave Handbook of Citizenship and Education. University of Aberdeen Studentship: Funding for a 3 year PhD programme at the University of Aberdeen, UK. Grant from the Advanced Research Training Seminars (ARTS): Participation at the Seminar on Large-scale International Data sets for Research in Educational and Developmental Psychology: Humboldt University, Berlin, Germany. Various Grants and Bursaries for Research Network Projects, Global Education Research Project and participation at conferences: University of New England (NSW, Australia); University of Aberdeen (UK), British Educational Research Association (BERA), Scottish Educational Research Association (SERA) and the International Development Education Association of Scotland (IDEAS). "Primary Education for the 21st Century: Global Education Issues and Priorities": A Presentation at the Overseas Training Programme for PTI/URC Instructors in association with SRG Bangladesh Limited (The Bangladesh Project in Association with the School of Education, University of Aberdeen).